When Doug and Karen Grisevich, owners of GrowRVA, got married at the South of the James Market, it didn’t surprise any of us that they turned to market vendors for everything they needed to make the wedding and the reception happen. They shopped the market for their rings, flowers, cake, henna, food, music and even their photographer. 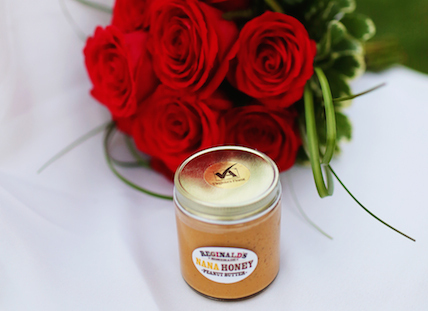 If you’re planning a wedding or looking for a wedding present, we encourage you to come shop the farmers market too! 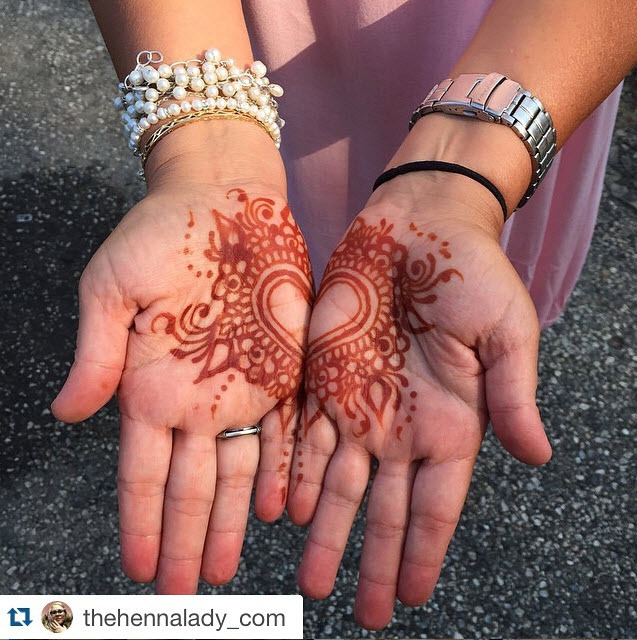 Henna – The Henna Lady, Colleen Heller created a lovely henna design on the bride’s hands. Look to her for bridal mehndi or perhaps a henna party for the bridal shower? Flowers – Grandma’s Garden grew the beautiful flowers for Doug and Karen’s wedding. Vintage Bloom will also supply flowers for your bridal shower, bridal luncheon, rehearsal dinner and wedding. Perhaps you would like a bouquet of summer flowers – Sunflowers, Zinnias and Queen Anne’s Lace? 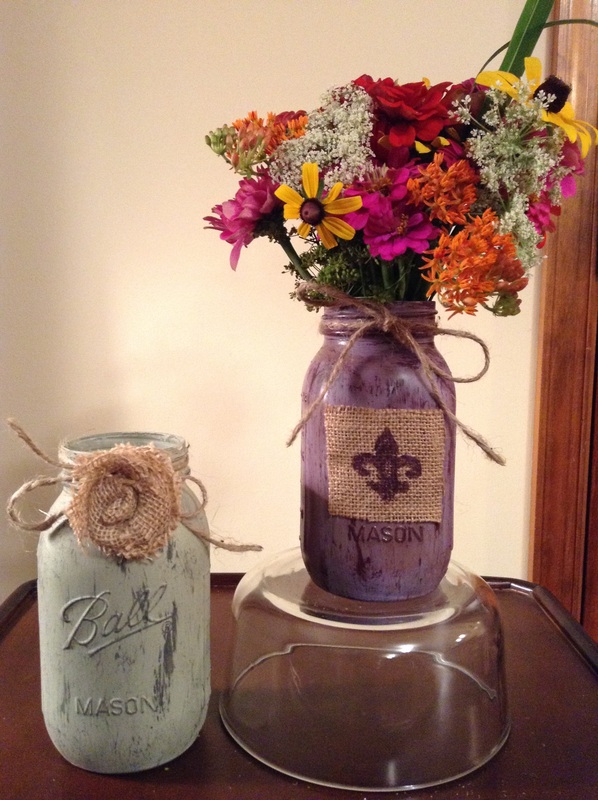 Add a popular mason jar painted to request for centerpieces. Food & Wine – Eat your way through the market to find your caterer. Many of the market’s food trucks and prepared food vendors are available for special events. Check our vendor list for contact information. Karen and Doug served Jadean’s Smokin’ Six O‘s BBQ at their reception and Grayhaven Winery supplied the wine. Their guests were very happy about that! 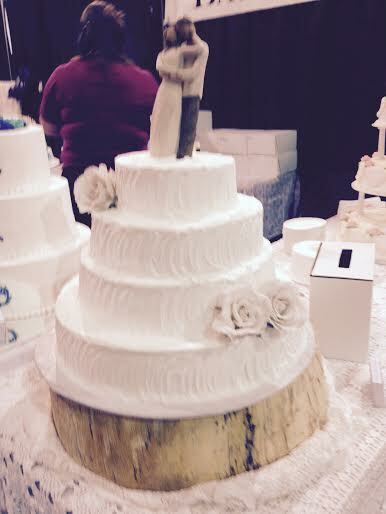 The Cake – Karen and Doug’s wedding cakes were made by Kitchenette. Who knew the chefs famous for their market bagels also make beautiful and delicious wedding cakes? Well we did … and now you do too! Favors – Market vendors can help you with wedding favors for your guests and bridal party. We’ve listed a few ideas below but we encourage you to check in with your favorite vendors … they may be able to create the perfect items for your special day. Brides and grooms can customize any of Reginalds Homemade 4oz sample size jars with a special top label including wedding color(s), bride and groom names and the wedding date. They also offer their regular 9oz jars (not customized) at wholesale prices for wedding favors and out of town gift bags. You can commission Make, love…work-shop to make memorable table favors for your guests and bridal party. 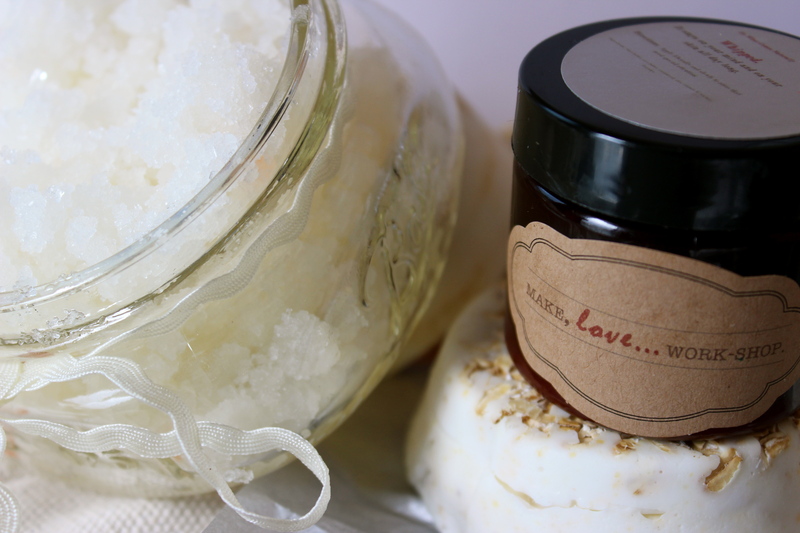 They will customize a Kinda Sweet On You sugar scrub, a Main Squeeze lip lotion or their Whipped, shea butter body cream in the fragrance of your wedding cake! 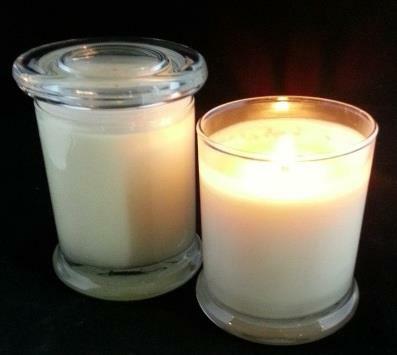 Find the perfectly scented candles for your tables from Pure Light Candle Co. 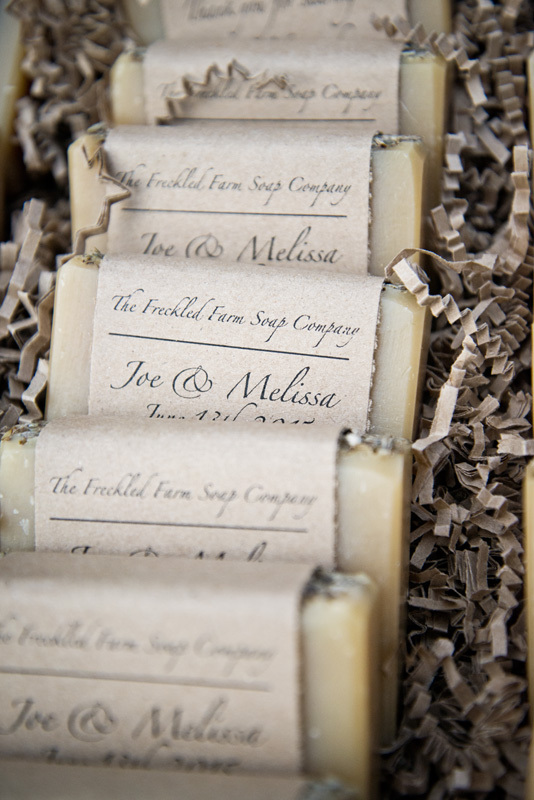 The Freckled Farm Soap Company offers custom soaps for wedding favors. You can get full bars, half bars, or special shaped soaps, and the packaging is custom designed for you. Photography – The Freckled Farm Soap Company’s owners also have a photography business: Neilson-Hall Photography – specializing in — you guessed it — wedding photography! These are the photographers Doug and Karen used during their wedding. 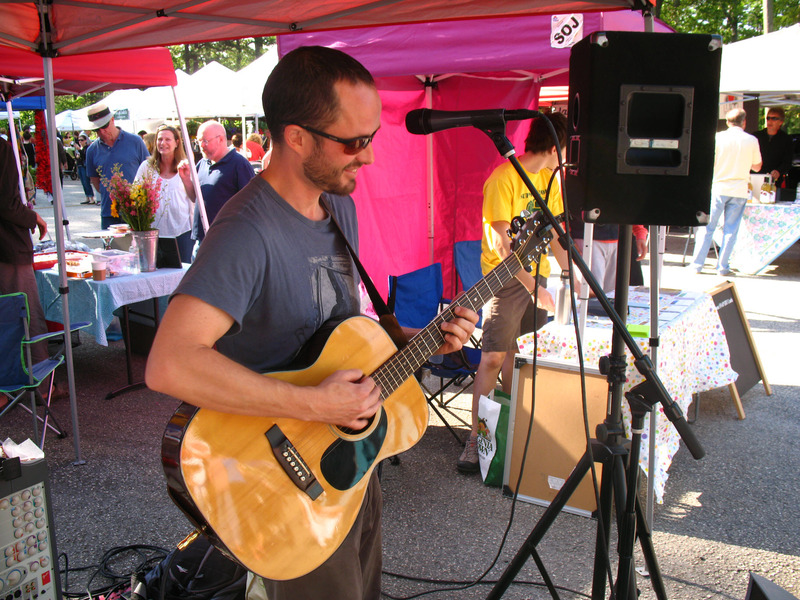 Music – Many of the market musicians can be booked for special events. If you have a favorite, check with them about their availability. Spencer Scholes and Markiss Blowfish played the GrowRVA wedding. 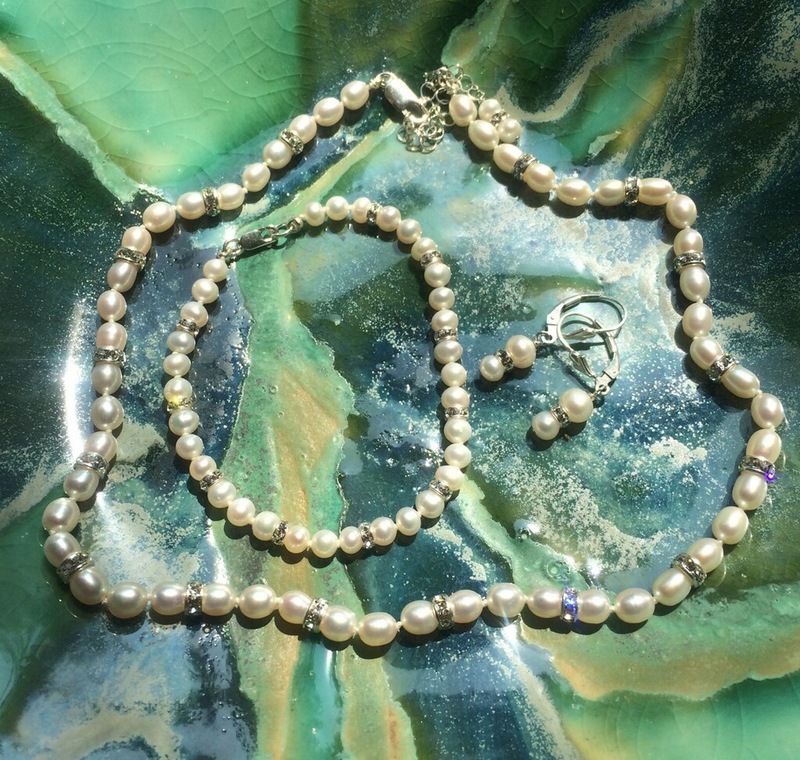 Gift Ideas – You probably already know this but the market is loaded with potential wedding gifts. Click through the slideshow below for ideas. 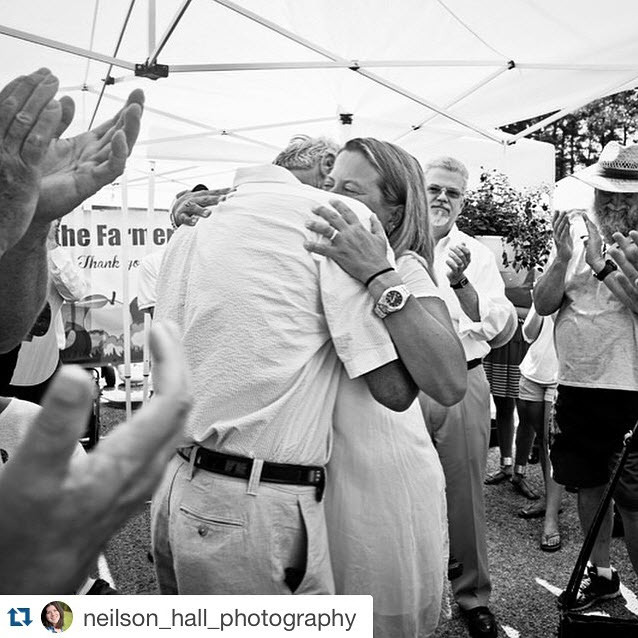 Are farmers market vendors playing a part in your wedding plans? Let us know in the comments below. PS – While not technically a market vendor, Total Printing is the local shop GrowRVA uses for its print needs — including wedding announcements! Great presentation of vendors…very professional!